They walk into the doctor’s office with complaints like insomnia, anxiety, ADHD, or even headaches. And they walk out with an antidepressant prescription that won’t help their problem. But then they find it impossible to quit the drugs. The common wisdom is that patients can be weaned off of antidepressants in about a month. But a new analysis shows that’s wrong. It found that it takes far longer, even up to four years, to quit. The debate began when patients started reporting severe withdrawal symptoms. They included insomnia, anxiety, and weird sensations that felt like electrical jolts in the brain. Mainstream doctors scoffed… In Britain, the Royal College of Psychiatrists indignantly insisted that the vast majority of patients have no such withdrawal symptoms. The American psychiatric community backed them up. But the new research review found that study after study showed that quitting antidepressants can be extremely difficult. A 2010 study from Japan. The researchers found that 78% of patients trying to get off Paxil (paroxetine) had severe withdrawal symptoms. A Dutch study found that 70% of people who had trouble giving up Effexor (venlafaxine) or Paxil were able to do so on an extended schedule of gradual dose reduction. The research team found that it took some patients as long as four years to taper off. Doing this cut down the number of patients who suffered withdrawal to 6%. Brain-imaging studies also confirmed that very gradual dose reduction is the best way to safely quit the drugs. Dr. Mark Horowitz conducted the review, which was published in the journal The Lancet. If you have severe depression, an antidepressant might be the best treatment. But for less serious problems that aren’t life threatening or debilitating, stay away from them. Once you start taking them, it can be very difficult to stop. If you’re already taking antidepressants and want to stop, visit the website for The Withdrawal Project. It provides detailed protocols to help patients safely stop taking antidepressants. 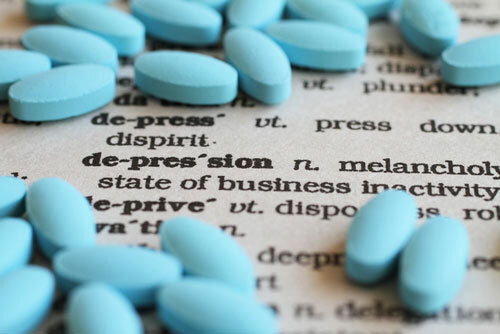 Editor’s Note: Antidepressants are far from the only risky “solution” peddled by Big Pharma. We list the others in our special report, The Top 10 Dangerous Pharmaceutical Drugs—And Their Natural Alternatives. It’s an important read for you and your family.